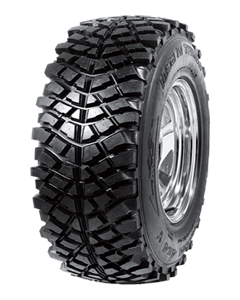 The Insa Turbo Sahara is the Off-road tire with the maximum 4x4 traction. It is designed for pick-up, leisure and all terrain vehicles that need an optimal traction in extreme conditions in the most demanding areas, being a safe bet for the most extreme 4x4 drivers. Its width tread on the shoulders and its balanced and aggressive disposition with the blocks provide it more traction and an ideal performance in mud and snow. The reinforced sidewalls near the shoulders improve protection in the most demanding paths. Its deep off-roads of directional profile contribute a better traction, helping its self-cleaning character, by its deep and aggressive shoulders.